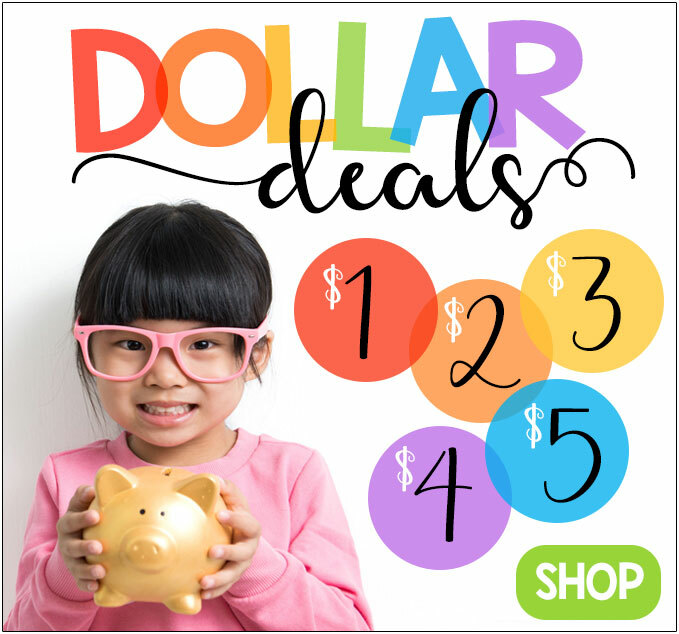 At the start of the first grade year, students should have a good understanding of numbers as well as basic addition and subtraction skills. 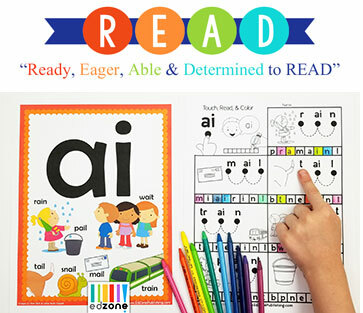 For students needing review you might try our Interactive Math Notebook for Kindergarten. 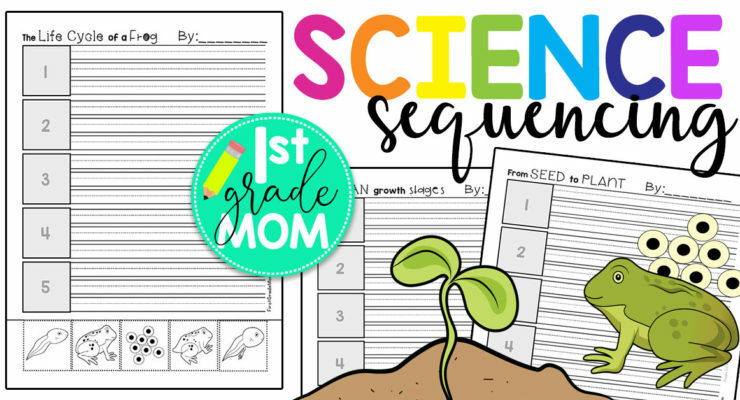 This 36-week curriculum is filled with hands-on games and activities that will have your student learning while having fun. 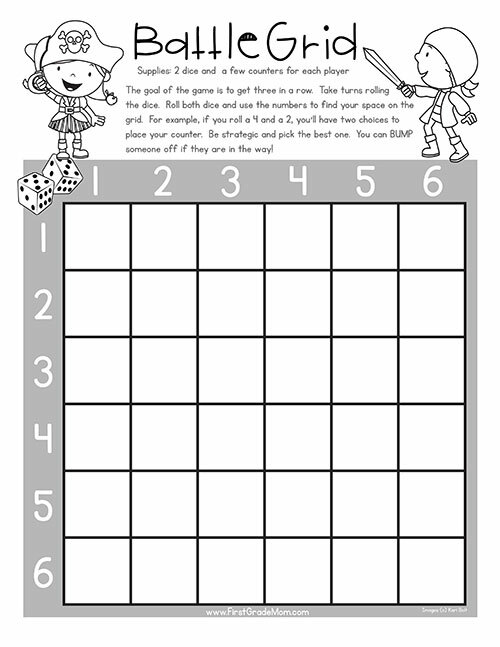 This is a fun game for children to begin learning about grids. Students roll the dice then cover that grid space with a counter. There is strategy involved as they try to get three in a row. 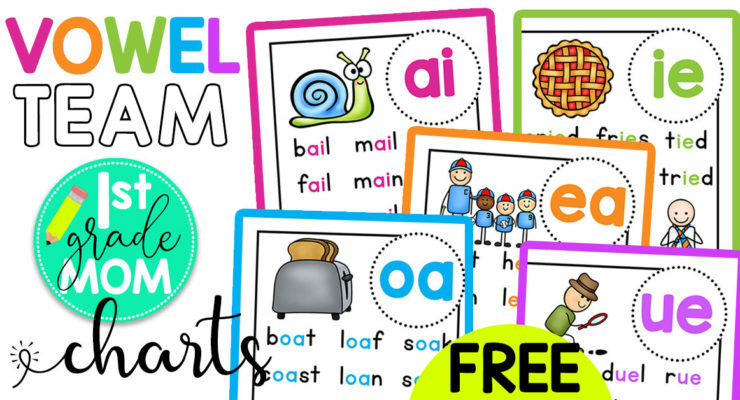 This free printable math game helps students practice their addition skills while having fun! 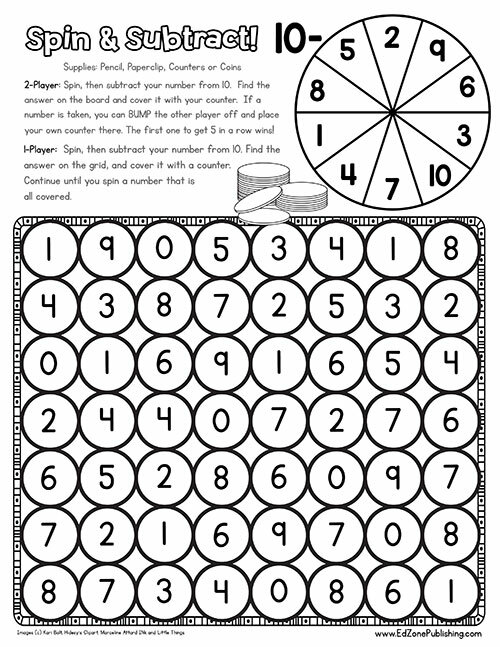 Students spin, then add 10 to their number. 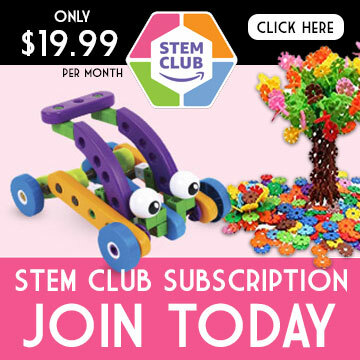 They find the answer on the grid and cover it with a counter. The first one to cover 5 in a row wins! 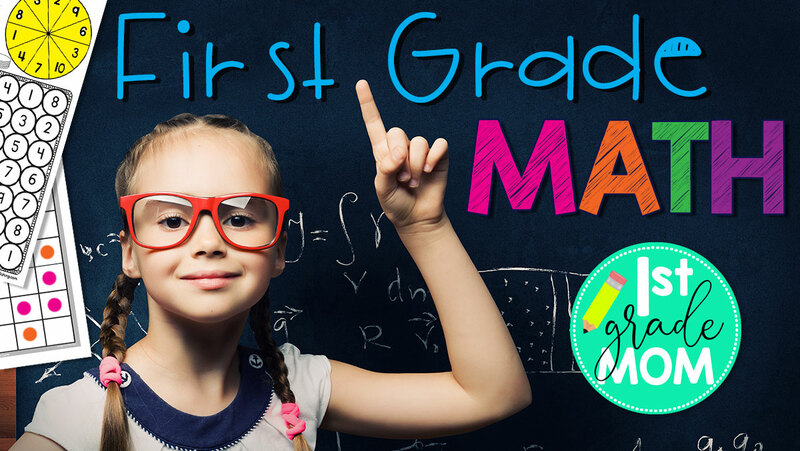 This free printable math game helps students practice their subtraction skills while having fun! 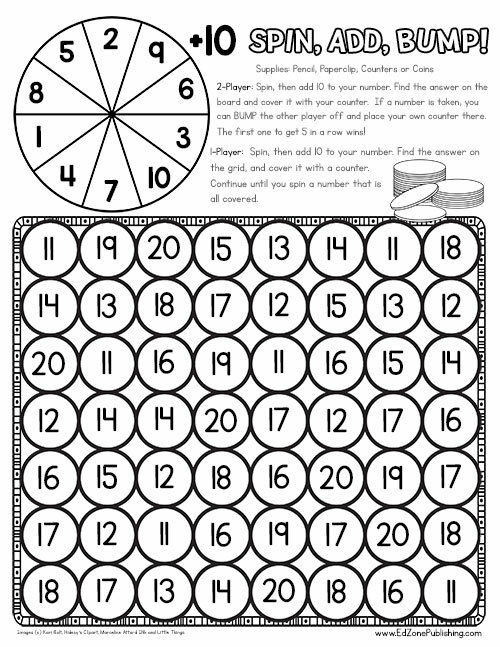 Students spin, then subtract their number from 10. They find the answer on the grid and cover it with a counter. The first one to cover 5 in a row wins! 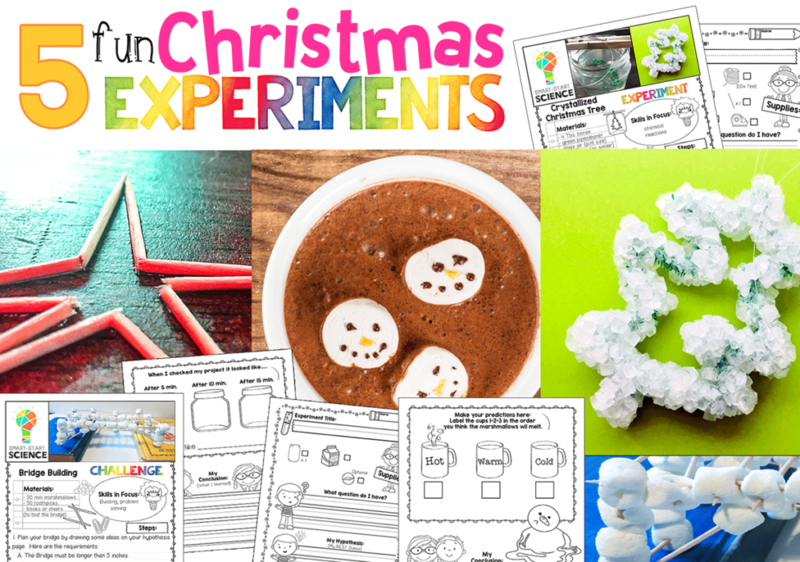 These games enhance the maths concepts in a fun way. Thank you for sharing.